When the city of Arlington, TX decided to give away free trees to promote tree planting in their community at the city’s annual Ecofest celebration, they reached out to Proforma to create a logoed bag that would keep the trees protected before and during the event. A challenge arose, however, when the city realized that keeping trees in disposable bags was not aligned with their sustainable image. Proforma suggested a vivid, recyclable and reusable plastic cup to contain the small trees. The cup was customized with educational information, as well as instructions on how to take care of the tree. The staff and attendees of the event loved the tree containers and were excited to use the cups later on as a reminder of the importance of sustainability in everyday life. 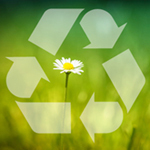 Proforma continues to provide the customer with other eco-friendly items, including sustainable t-shirts and tumblers.